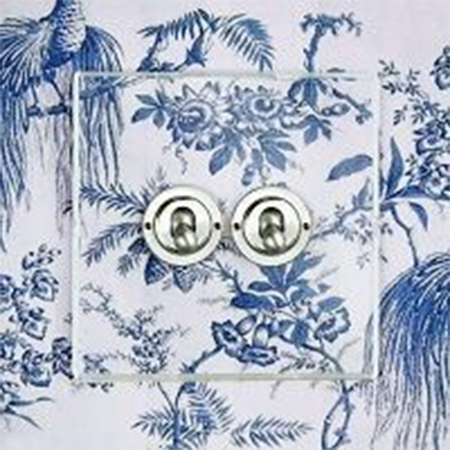 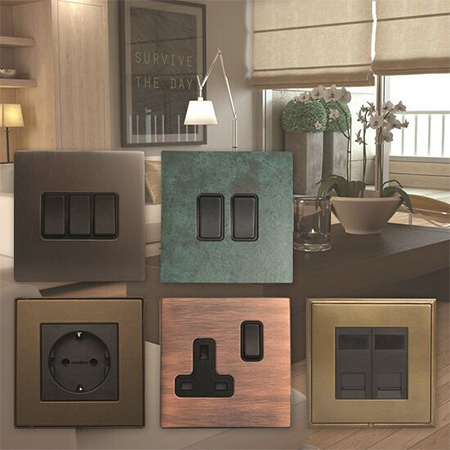 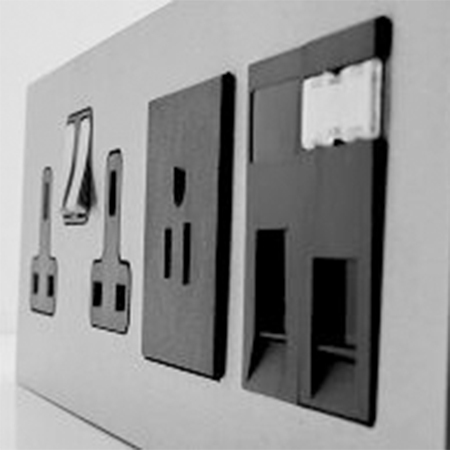 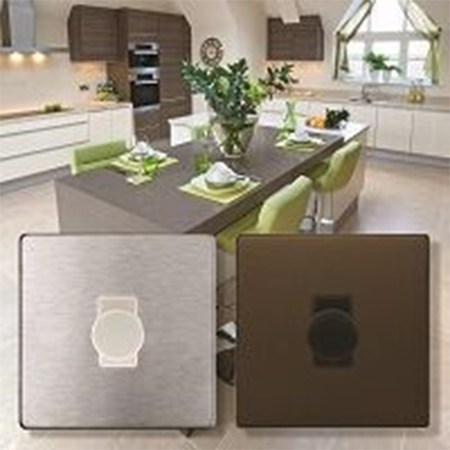 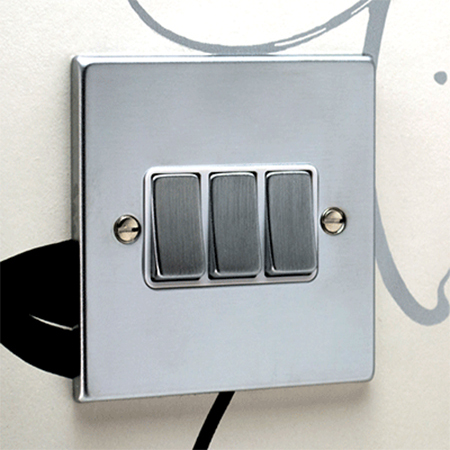 Hamilton offers 18 unique designs of switch plates and sockets, ranging from classic antique brass designs to contemporary glossy piano black and even completely clear plates that allow the wall covering to show through. 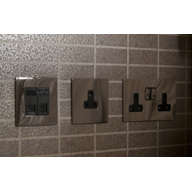 Other finishes available across the Hamilton ranges include satin and bright chrome, satin and bright steel, satin brass, polished brass and even natural wood. 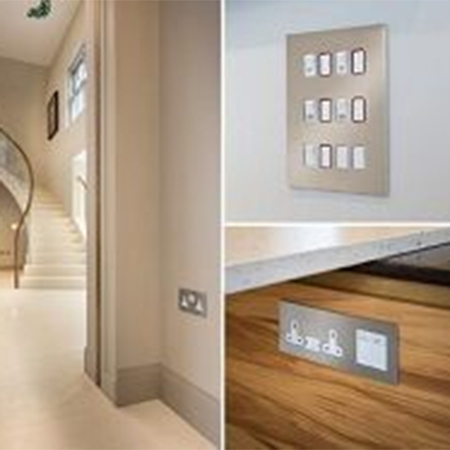 Discerning specifiers seeking exclusivity will find inspiration in abundance. 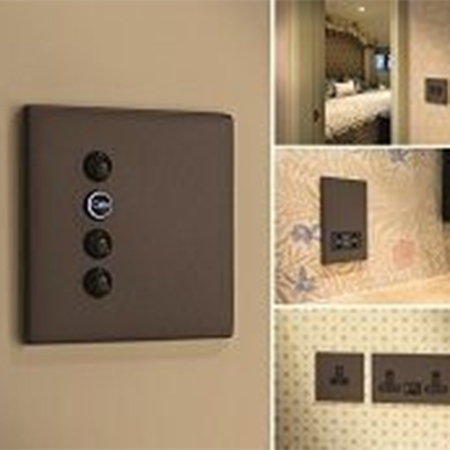 The muted tones of Giara Verdigris CFX and stunning Giara Martellato CFX hammered britannium surfaced plates are the epitome of luxury in Hamiltons electrical accessory and concealed (CFX) wall plate designs - perfect for ultra-modern rooms that require a smooth, minimalist feel. 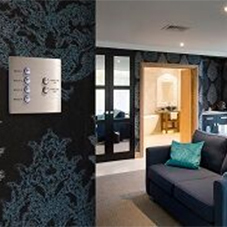 All of which can be handmade to order and combine beautifully with Hamiltons matching designer door furniture. 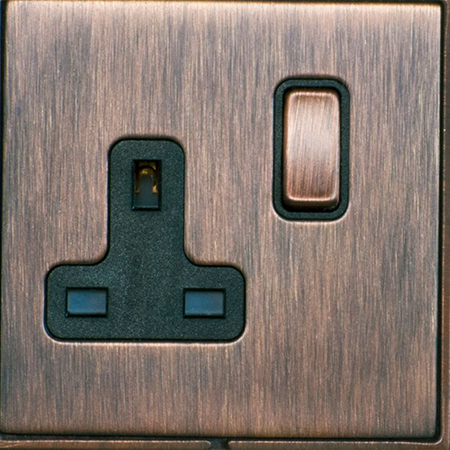 Add to this to the warmth and depth of Hamiltons Bronze finish ranges and the possibilities for even the most challenging interiors project are endless. 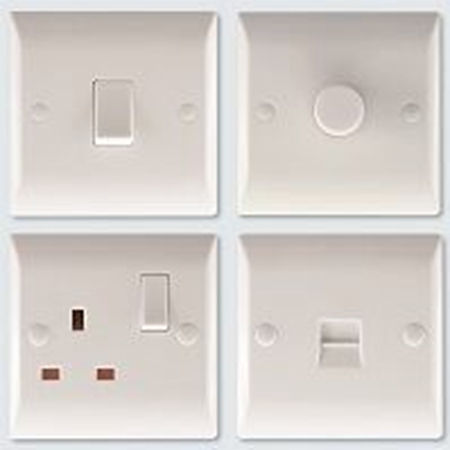 Hamilton supplies electrical sockets fixed in British and European (EuroFix) styles, all of which are designed to match the switch plate ranges for a coordinated look. 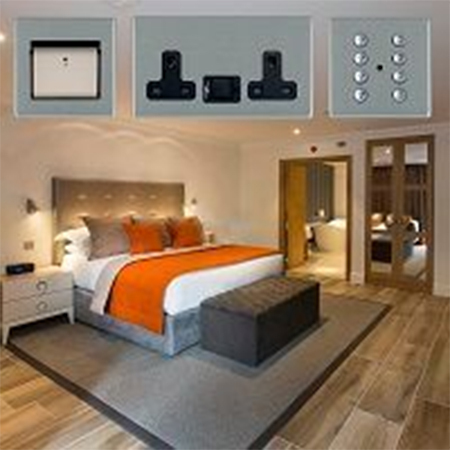 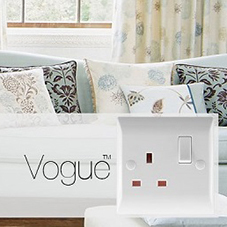 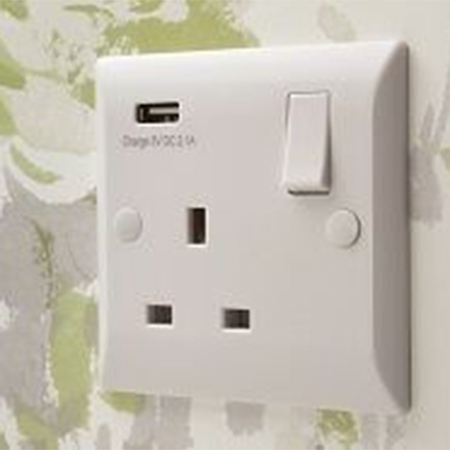 Sockets can accommodate electrical plugs, data and media outlets including USB chargers; plus grid fix solutions and standard box fit, in whichever combination required, in accordance with market standards. 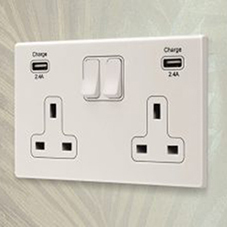 All of Hamiltons electrical wiring accessories conform to current British or European standards and are manufactured under an accredited BS EN ISO 9001: 2008 quality system. 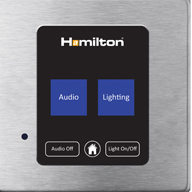 The Hamilton 13 amp sockets (SS1 and SS2) have also been accredited with the ASTA certification, providing confidence in their safe operation.